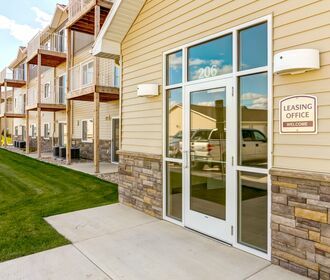 After a busy day at Bakken Oil, Mercy Medical Center or Williston State College, returning home to a quality apartment at Eagles Landing will be the highlight of your day. This Williston community is situated in the central University subdivision, and each home boasts the thoughtful design and striking features you deserve. 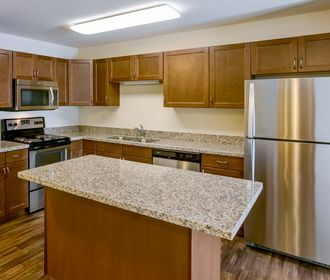 One of the favorite focal points of each one and two bedroom home at Eagles Landing, your kitchen comes outfitted with lustrous stainless steel appliances and the smooth finish of granite countertops. The custom cabinetry and rustic faux-wood flooring incorporate a touch of texture against the polished surfaces. 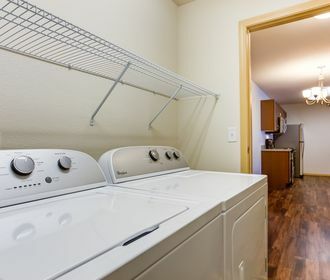 Your pet-friendly apartment comes standard with a full-size washer and dryer set, a patio or balcony and central heat and air. Furnished options and models with great rooms are also available. The welcoming environment extends to the on-site maintenance and management teams. Detached garages, easy access to Routes 2 and 85 and close proximity to the airport and Williston ARC raise the bar on convenient living. Tour the community today and rent the perfect home for you.